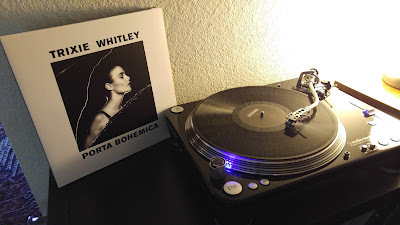 Porta Bohemica, only released a couple of weeks ago, and I must have listened to it thirty or more times... a beautiful work by a true vocalist. The wistful "Closer" is a classic, "Hourglass" and "Eliza's Smile", beautiful. The entire album: well worth the wait. One day soon, I hope to see Ms Whitley in concert. April 8th in San Francisco? Check out tour dates near you here. If you prefer Winehouse to Madonna, or Gaga's national anthem to her Bowie, take a listen to Porta Bohemica.